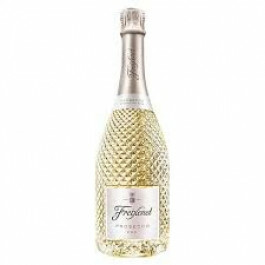 Freixenet Prosecco DOC is golden straw with lively effervescence and fresh aromas of citrus, apple and flowers. Clean and fresh on the palate with tones of ripe lemon, green apple and grapefruit. The finish is light and fresh. Freixenet Prosecco DOC is a stylish bubbly can be enjoyed to celebrate all of life’s special moments, whether big or small. What’s more, it makes a great match for Lobster, brunch and as an Aperitif. Freixenet Prosecco is golden straw with lively effervescence and fresh aromas of citrus, apple and flowers. Clean and fresh on the palate with tones of ripe lemon, green apple and grapefruit. The finish is light and fresh.